Sunflower seeds can be had as is or put on a salad along with other dressings. Sunflower se..
Watermelon seeds can be had as is or put on a salad along with other dressings. These are de-skinned..
Ayurvedic Herbal Hills PROSCAREHILLS Prostate Health tablets (60)Proscarehills is..
Ayurvedic Herbal Hills PROSCAREHILLS Prostate Health Tablets Value Pack (900)Proscareh..
Omega Rich Seeds Blend (300g)Product DetailsYou get five of the most power packed seeds..
Flax seeds are high in Omega-3, fiber and phytochemicals (anitoxidants). Flax seed is very low in ca.. Whole (Pearl) Barley - 200 gms Also Known As: Ja..
* Limit of 3 per order *Organic Wheatgerm 250gWhat is Wheat GermWheat germ is a part of ..
Anardana is the dried seeds of varieties of pomegranate (Punica granatum) too sour to eat as fresh fruit; they have a tangy, fruity flavor. Bits of pomegranate pulp remain on the seeds as they dry, so they're a bit sticky and serve as a souring agent in Indian cuisine. 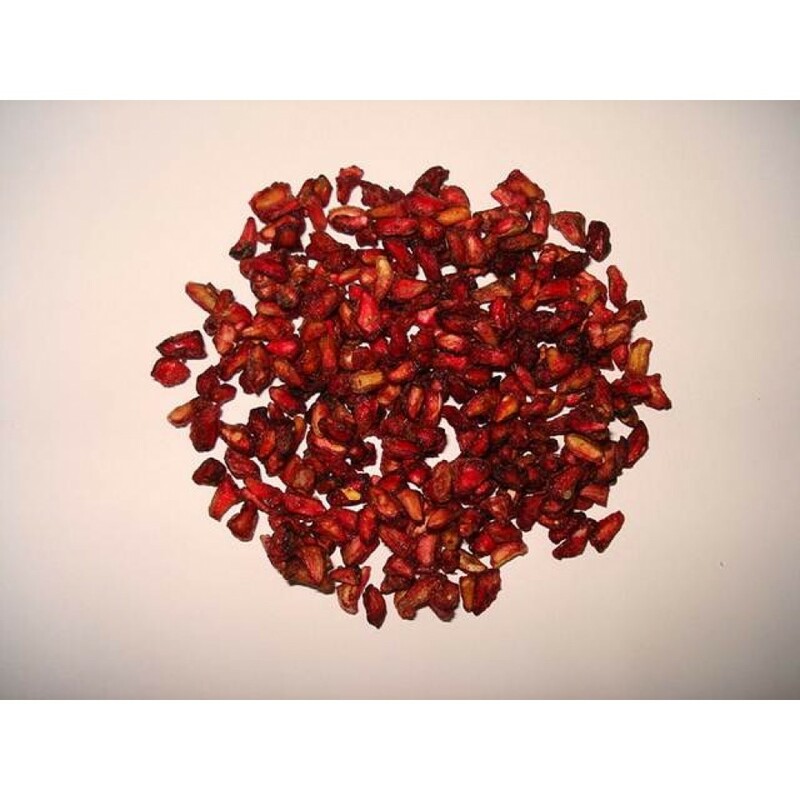 The seeds are roasted and then ground and used instead of lime juice especially in places that have winters and fresh limes are not available.Pomegranate Seeds (Anardana) are used as a souring agent in Indian cooking in a similar manner to Tamarind, Kokum and Amchur. It adds a delicate but rustic sour taste to any dish. In the Middle East it is used often to garnish dishes such as hummus, salads & tahini. Add just a bit to your favourite dish and see if you love the unique flavor that pomegranate seeds add. You can even roast and powder and use as per recipe requirements. You can even store the powder in an airtight container in the refrigerator. Note - Please consume seeds within 60 days of purchase date for maximum benefit. Keep away from moisture. Because of free shipping I stopped buying in store. Very good product with best Price..